Pastor Jim Cymbala of the Brooklyn Tabernacle church tells a story of a challenge he gave his congregation in earlier days of his ministry. He told his then small congregation that if they called upon the Lord faithfully in prayer, He had promised in His word to answer, to bring the unsaved to Himself, and to pour out His Spirit among them. But if they did not call upon the Lord, He had promised them nothing. 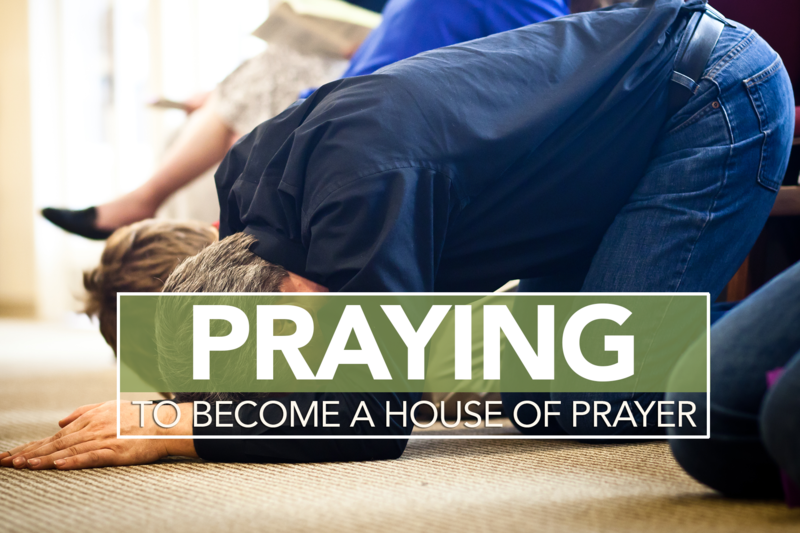 In Matthew 21, Jesus gave an identifying mark to his church when he said, “It is written, ‘My house will be called a house of prayer’” (Matthew 21:13, NIV). While the church may be correct in her teachings, led by charismatic pastors, and inspirational in its worship, without prayer it will be anemic, having no power. The health of any church, locally or corporately, can be gauged by its commitment to the discipline of prayer. Join with us in praying that the Church of God of Prophecy, as a movement and in our local churches, would be known as a Houses of Prayer, evidenced by a commitment to passionate, persistent, prevailing prayer. Thank the Father for his ability and readiness to give, guide, and respond in response to our prayers (Matthew 7:7-8). Confess for yourself or your church any lack of devotion to prayer. Ask God to help your church and its leaders be devoted to or “diligently occupied with” prayer (Colossians 4:2, Acts 1:14, Acts 2:42, Acts 6:4). Ask God to help your church family pray as the needs arise, spontaneously, and to cover everything in prayer (Ephesians 6:8). Ask God to make you alert to needs in your church family and to “keep on praying continually” for all members of your church family (Ephesians 6:8). Ask the Father to help you and your church to pray as Jesus urged you to pray—continually asking, seeking, and knocking (Matthew 7:7-8). Pray for power and wisdom to know the “greater things” the Father wants you and your church to do for Him (John 14:12-14). Ask the Father to help you see beyond just personal needs and to focus on Kingdom concerns (John 14:12-14). Pray that your church will pray faithfully and powerfully for your city, community, nation, and leaders (1 Timothy 2:1, 2). Pray for your pastor and ministry leaders (Romans 15:30). Ask God that the “heart’s desire” of your church would be to pray for the unsaved and that He would give your church practical opportunities to reach out to your community (Romans 10:1, 1 Timothy 2:1, 3, 4). Download this prayer guide by clicking here. Let us know you are praying with us by using #COGOPprays on social media to share your requests, inspirations, and praise reports.